His name is Jon Zawislak; it rhymes with “Zah-FISH-Lock,” but everyone knows him simply as “Jon Z.” Jon’s known by beekeepers across the state of Arkansas and beyond for his engaging beekeeping training regularly accentuated with humor. Jon is an Eastern Apicultural Society Master Beekeeper and Arkansas’ State Extension Apiculturist. In this position, Jon trains beekeepers and conducts research on honey bee health issues. I have encountered numerous beekeeper students of Jon’s classes. They are enthusiastic, and they always feel like they are well-prepared by Jon’s instruction to start their beekeeping adventure. I have participated in some of his research. In one study, Jon searched for parasites that might be preying upon the invasive Small Hive Beetle. Sampling bees, combs, and soil surrounding the bee hives, Jon found on my farm and several other Arkansas sites a parasite attacking these pest beetles. The parasite has the potential of being a biological control of Small Hive Beetles, https://peacebeefarm.blogspot.com/2011/10/are-beetles-vulnerable.html. 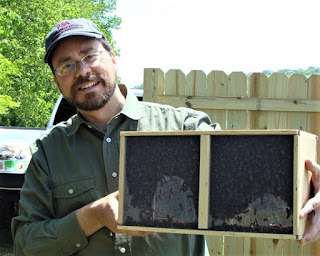 Jon also participated in a study of the effect of neonicotinoid insecticides on honey bees, https://peacebeefarm.blogspot.com/2015/02/neonics-questioned_12.html. While many wanted to blame the widely-used class of insecticides for causing excessive bee colony losses, Jon made measurements to get an accurate assessment of the effect of the insecticides. It now appears that the neonicotinoids are not the sole cause of the losses, but instead one of several contributing factors. Jon is always available to answer a technical question. 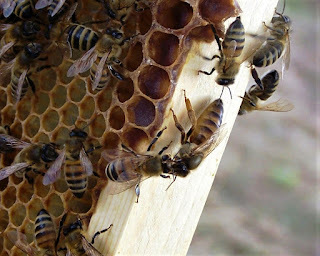 When a reader of this blog questioned the mechanism for honey bees’ passing along genetic information, I asked Jon to explain for me, https://peacebeefarm.blogspot.com/2012/09/honey-bee-super-sisters.html. I am particularly grateful for Jon’s participation with the Arkansas Beekeepers Association as an active member of our leadership, https://peacebeefarm.blogspot.com/2015/11/bee-lining-in-ozarks.html. 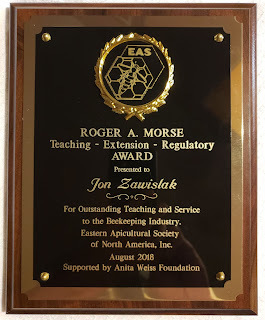 Jon Zawislak received the prestigious 2018 Roger A. Morse Outstanding Teaching/Extension Service/Regulatory Award at the Eastern Apicultural Society’s conference at Hampton, Virginia. Dr. Morse developed the EAS Master Beekeeper program at Cornell University. Jon provided me the encouragement to complete my EAS Master Beekeeper certification. He is truly an inspiration. Congratulations, Jon Z. Striving for continuous stock improvement, beekeepers evaluate the genetic traits of their queen bees to select their best queens as breeding stock. Observing the behavioral characteristics of the bees in a hive reveals its queen’s genetic traits. However, the queen’s genetic make-up is not the only factor involved in what we observe. Environmental conditions and the beekeeper’s actions also affect the honey bee colony. We can observe the bees’ behavioral traits and select for those traits in offspring as long as they are genetically heritable traits. For example, a honey bee’s hoarding instinct is a heritable trait that determines the bee’s intensity of foraging for nectar to make honey. The color, aroma, and flavor of the honey that the bees produce, however, is not genetically controlled by the bees. A bee hive’s honey production does have a genetic basis related to hoarding instinct. Environmental factors, like hours of sunlight, drought, and dearth of flowering plants greatly affect honey production. The beekeeper’s hive management actions greatly affect honey production. Since it takes a large population of bees to produce a surplus of honey, swarm prevention is important. Equally important for honey production is the beekeeper’s timely placement on the hive of honey supers prior to the nectar flow. When we measure a colony’s over-winter survival success, we see the results of bees not having a genetic propensity for failing due to Nosema disease or tracheal mites. However, environmental factors like mild weather in the winter lead to excessive consumption of stored food. Likewise, old, dark combs left in the bee hive potentially hold environmental toxins and disease spores that adversely affect colony health by shortening the bees’ lifespans. The success or failure of a bee colony to survive the winter depends largely upon how the beekeeper set up the hive in the fall. Did he or she leave plenty of stored honey and provide sufficient hive ventilation? In today’s photo, an attendant worker passes royal jelly to her queen.